German Chancellor Angela Merkel to resign from leadership of Christian Democratic Union after 18 years at its helm. German Chancellor Angela Merkel is planning on resigning as head of the Christian Democratic Union, sources close to the chancellor said Monday morning. 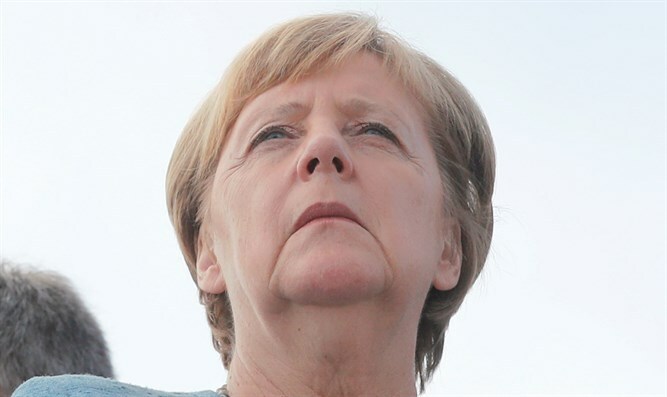 A number of German media outlets reported Monday that Merkel is set to step down as chair of the CDU, but is hoping to remain chancellor, after being reelected in September, 2017. The decision comes following a regional election in the state of Hesse on Sunday, which saw the center-right CDU and its coalition partner, the center-left Social Democratic Party, both lose ground again to rivals on the left and right. While the CDU remained the largest faction in the Hesse regional election with 27% of the vote, the vote marked the party’s poorest performance there since 1962, dropping 11.3% from the party’s 38.3% in the 2013 election. The Social Democrats fell by a comparable amount – 11.1% - declining to just 19.8% of the vote, nearly tied with the Green Party, which rose from 11.1% in 2013. The right-wing AfD party, which made massive gains in last year’s general election, also increased its share of the vote, rising from 4% in 2013 to 13.1%. Earlier this month, the Christian Social Union – an ally of the CDU – suffered similar losses in a regional election in Bavaria, dropping from 101 seats in the local legislature to 85, while the Greens and AfD won again made significant gains. The CDU’s and CSU’s losses in the local elections come on the heels of the party’s decline in last year’s general election, fueled in part by a popular backlash against Merkel’s immigration policies, which have led to a rapid increase in the number of asylum seekers residing in Germany. The party’s declining electoral fortunes have put pressure on Merkel within the CDU, and likely prompted her decision Monday’ to resign as party chair. According to German media outlets, Merkel informed party leaders that she would not run for reelection as the CDU’s chief in a vote scheduled for December. Despite her plans to resign, Deutsche Presse-Agentur reported that Merkel intends to stay on as Chancellor. Merkel as led the CDU for 18 years, and has served as Chancellor since 2005.